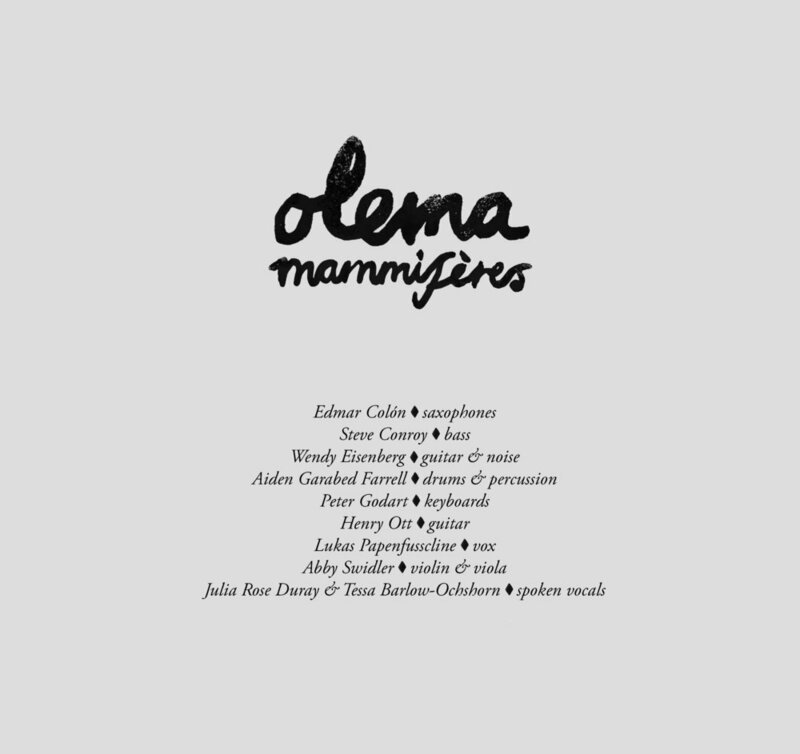 Under the full moon on November 23, Figure & Ground releases Olema, the debut album from mammifères. New York City-based band mammifères rekindles and recomposes ancient music from across the world into new mammal music. mammifères' forthcoming album is inspired by the beautiful peninsula off the California coast where bandleader Lukas Papenfusscline was raised. mammifères—“mammals” in French—is Steve Conroy on bass, Aiden Farrell on drums, Henry Ott on guitar, and frequently features guests on saxophone, keyboard, violin, and clarinet. Led by Lukas Papenfusscline, the band tangles roots music with new harmonies and adapted stories, at times both irreverent and deeply respectful of our musical heritage. These urban mammals create holy mess by crafting new tunes based on field recordings, manuscripts, and learned songs from years past, refurbishing them the musical languages of the future. Equally comfortable with American folk as with medieval chant, the group pulls from improvisation, noise, jazz, queer culture, and contemporary performance to create their unique and sensitive sound. 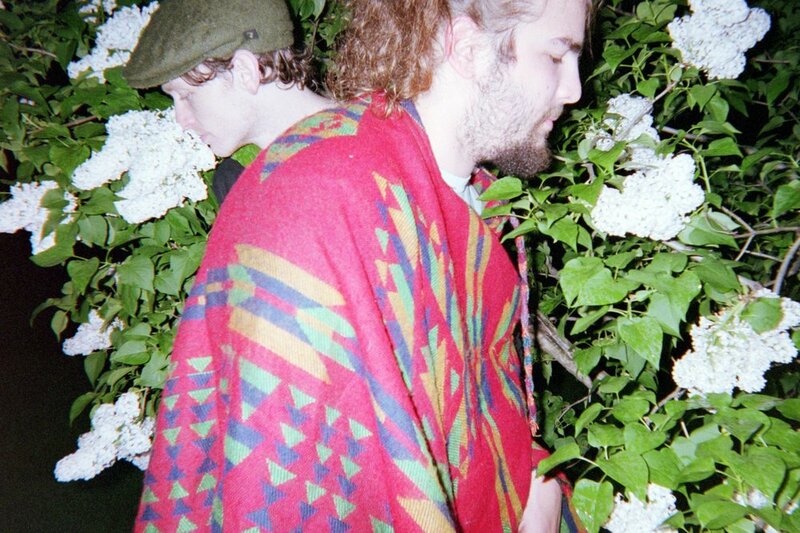 “Old songs are made anonymous when they’re sung millions of times,” says Lukas. “Singing them is like hiking: you’re being thrown into a world of history, of otherness, of nature, a place you feel you don’t belong but absolutely do. Olema for me is about human interaction with wildness—it’s benefits and destructions.” Inspired by the Pt. Reyes Peninsula, a collection of small communities on the California coast just north of where Lukas was raised, Olema is an ode to the natural beauty of the landscape and its complex human history. Produced by Lily Wen, the album was recorded by Peter Atkinson in a makeshift studio in Boston—formerly Blue Jay Studios—and comprises nine traditional American and British songs, mainly from the late 1800s or older (or unknown). Limited to 30 hand-cut vinyl copies, the 12-inch LP release features a 12-page photo journal and two sticker landscapes. There is also a limited run of 50 standalone photo booklets created by Alia Wilhelm in conversation with the musicians. “We’ve always wanted to collaborate with as many people as possible – so we’ve built this structure to create a forest of music, such that anyone in the band could play lead at any given moment, or we can invite someone else to fill that role,” says Papenfusscline. Featured players include Wendy Eisenberg on noise guitar, Berklee professor Edmar Cólon on saxophone, Peter Godart on keys, and Abby Swidler on violin and viola.